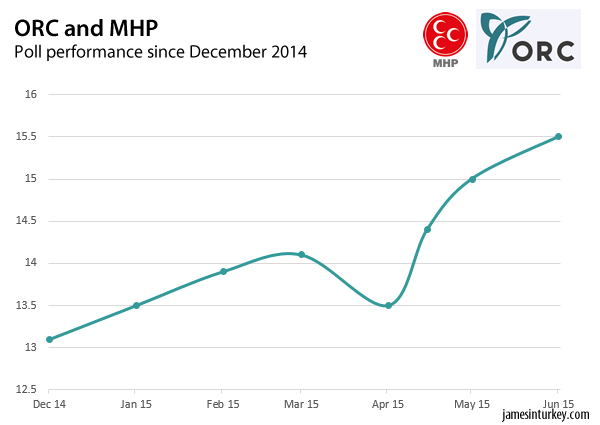 A government-friendly pollster has flouted Turkey’s ban on opinion polls – as it said it would. The results are still interesting. The ORC polling company has flouted Turkey’s ban on opinion polls – as it said it would. The company, which has long produced very high leads for the governing AK Party but says it funded this research itself, has published a three slide document of the results on its website. Besides a cover page and a pie chart, it includes one slide boasting how astonishingly close it predicted the 2011 parliamentary and 2014 local results – within 1% point for each, it claims. The ORC is about as opaque as every other Turkish pollster. We simply don’t know how it came up with these numbers. 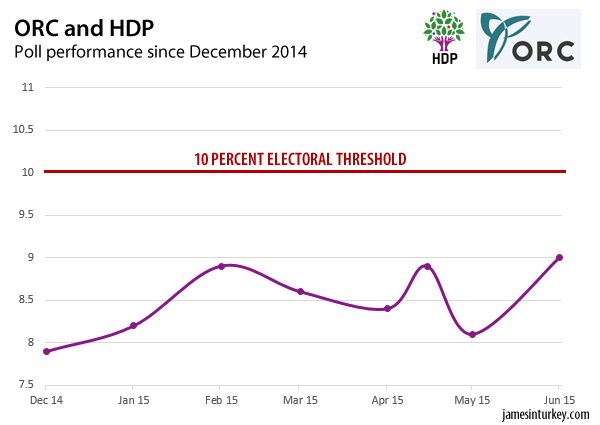 For all we know, its AK Party result could be at the top end of its margin of error while the HDP is at the bottom. But we don’t even know what that margin of error is. This is also is the first ORC since March not to give separate figures for the Saadet-BBP electoral alliance. Can we be sure all their votes have been totted up neatly under the “Others” column? 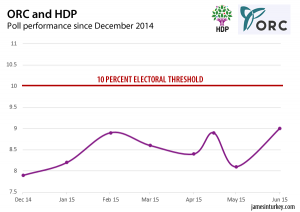 Don’t despair, HDP fans: this poll is the highest vote share for the fourth party from the ORC since September 2014. 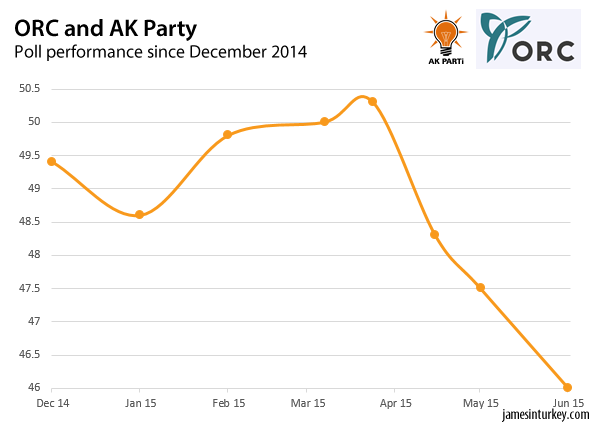 More notably, 46% is the lowest AK Party result since March 2013 in an ORC general election voting intention poll. Every article in this site has some degree of wishful thinking that the AKP loses majority to form a single-party government. It’s astonishing really. I’ve seen similar ambitious wishful thinking prior to 2014 Local elections in Western press. You may want to brace yourself for a shock to avoid the March 30 denial episodes we witnessed on Western people and press who despise Islamists. Monorities can enter as independents. 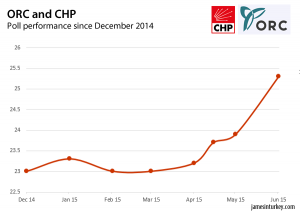 It can be proven that ORC has been the most accurate by simply online search and inshAllah it will also be accurate this time, because AKP deserves to win, and anyone who hates AKP is an ungrateful person who only have to take a look at some Arab countries to apperciate what AKP has done in Turkey. May Allah reward AKP the victory they deserve. MR BIRD is missing since the election. If anyone knows where he is, please contact the Bakırköy Asylum. Please help so that he gets the treatment he deserves. I agree with Mr Bird, anyone that hates the AKP is obviously an ungrateful traitor that doesn’t deserve to be allowed to vote. In the next election, we will send ballots only to grateful citizens who do not help the “parallel” government by critisicing me. Just look at Syria and all of the wonderful things the AKP has done there.